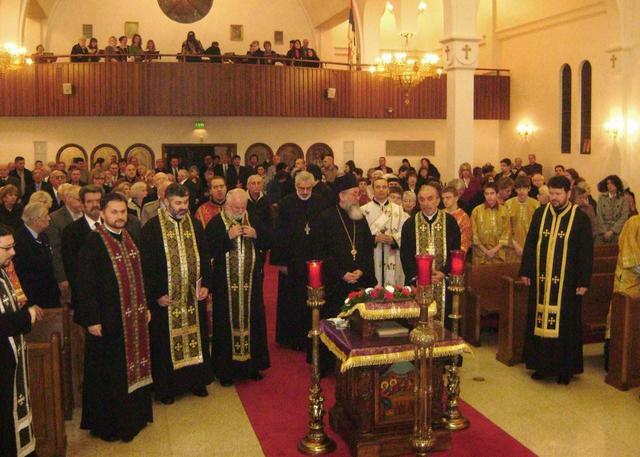 Merrillville, IN - These beautiful words from the church hymn resounded in the souls of the many faithful who prayerfully celebrated the third Sunday of Great Lent at St. Elijah the Prophet Serbian Orthodox Cathedral in Merrillville, Indiana. 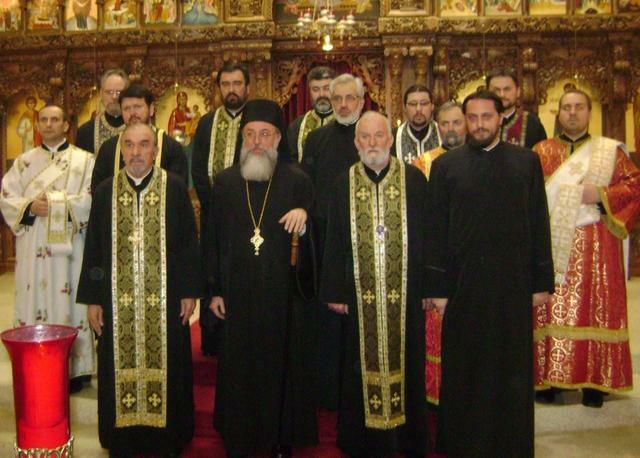 In the full cathedral church the pious people, together with the clergy, offered their prayers and with fear of God and a firm faith bowed down before the Honorable Cross of our Lord. 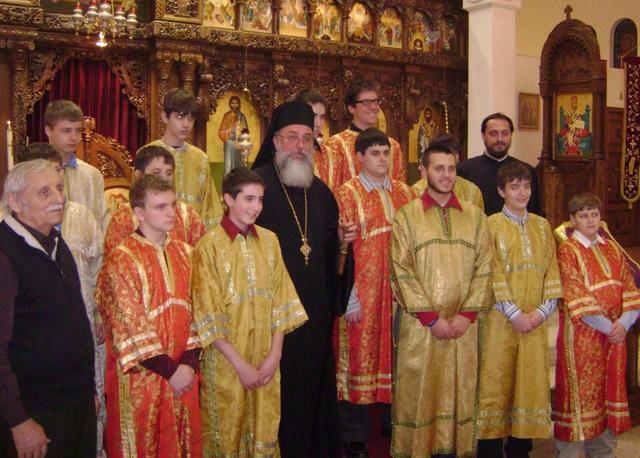 This prayerful celebration was made complete with the presence of the spiritual father of the New Gracanica-Midwestern American Diocese, Bishop Longin. 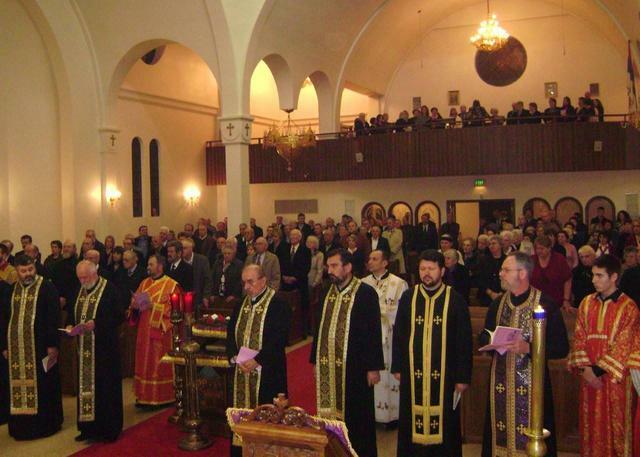 His presence brought joy and hope into the hearts of the many faithful that the unity of Christ's Church will be strong and stable in these areas. The cathedral choir majestically sang the responses during the evening service. The homilist, Fr. 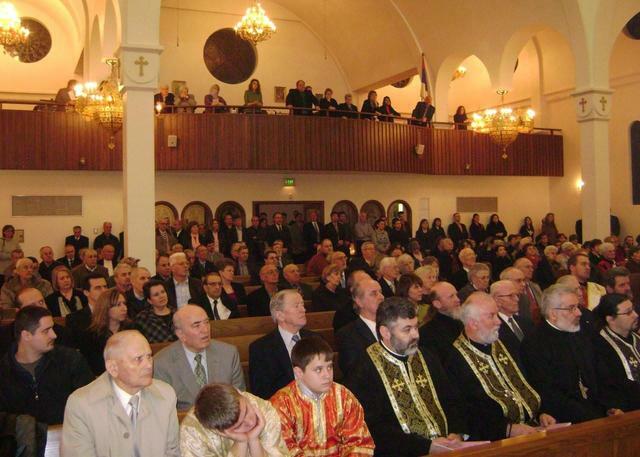 Aleksandar Savic, reminded all that the task of every Christian is that they live according to the teachings of Christ and in Christ and we always make the effort that through fasting and prayer we grow and become stronger daily. The dean of the cathedral, Fr. 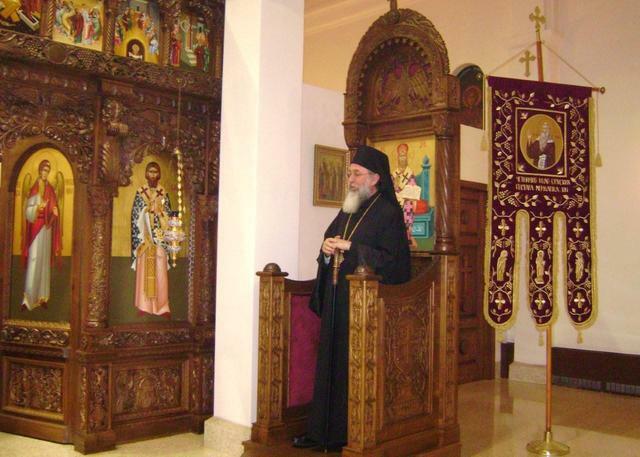 Aleksandar Novakovic, thanked His Grace Bishop Longin, the clergy and the faithful for their prayerful visit and expressed his hope that they will fight the good fight, preserve the Christian faith and without condemnation to reach our goal of worshiping the Holy Resurrection.